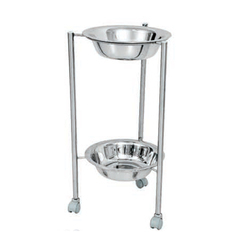 Our range of products include two tier bowl stand. Two Stainless steel Bowls Dia 345mm each. Also Available Epoxy Powder coated. Looking for Bowl Stand ?